15 cm tall (6 inches). 17 cm long (7 inches). 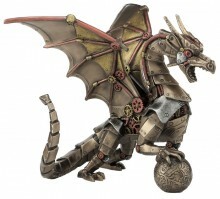 Detailed mechanised steampunk dragon. Unique figurine for display.